Colour has a profound influence on mood and morale. Once used strategically, it can help inspire ideas and spark creativity. This is why when renovating your office, it pays to use the right colour palette. Colour can go a long way in improving productivity and enhancing work efficiency. The hue of a colour does little to determine whether it stimulates or soothes. Rather, it is the intensity, or the level of saturation, that plays the part. This means, warm colours that have low saturation might as well have the same effect as the cool colours with higher saturation level, when put side by side. As colours have different effects to people, however, it is best to experiment with combining different intensity levels before you apply them to your interiors. For instance, you might want to use a strong shade of blue for a more stimulating ambience. Partner it with furniture items that have a slight hint of green to balance the effect. Choose from our line of office furniture that goes best with the colour theme. Colours can also make a space appear either huge or small. If your office has a low ceiling, you can remedy that by painting it white or any light colour. This is because bright or light ceilings look higher and give the room a more spacious feel. 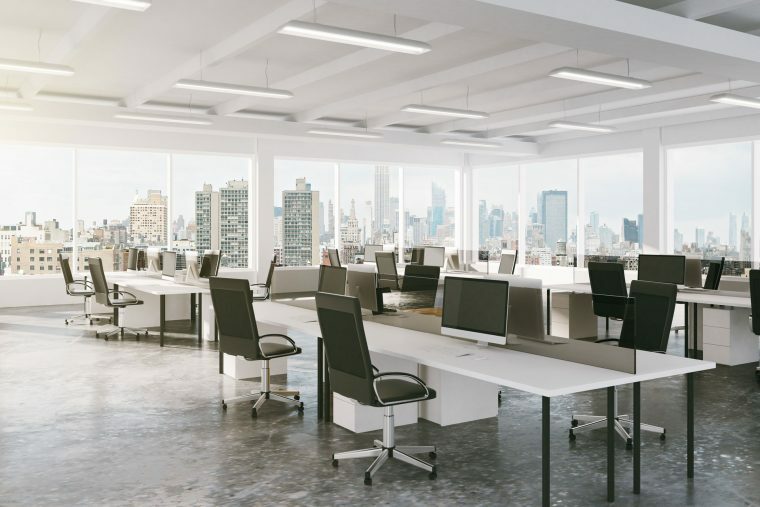 Plus, with natural lighting flooding in, your office may look much bigger. Light colours are perfect for conference rooms, huddle rooms, or just about anywhere you can discuss ideas. It is also good to reinforce your company or brand identity by using the colours you use as the design theme. This will help drive up the morale of your workforce and make them feel that they are part of the company. An office’s interior says a lot about a company, and colours are important factors. If you need help or ideas in renovating your workplace, contact us now. We can provide quality fitout and partitioning services, and classy office furniture.